The Toronto fashion scene has mastered the comfortable, the practical and the polite (we’re Canadian, after all), but the brands earning international attention, like Montreal’s WRKDEPT, forgo all the rules and expectations. The streetwear line’s co-designers, Andy Long Hoang and Tinashe Musara, produce bold, vibrant collections that nod to John Galliano’s colourful surrealism and flick at the wild theatrics from Viktor & Rolf. The duo’s shows are a feast for the eyes, and, perhaps, more importantly, weave in commentary about our sociopolitical climate. Fashion week regulars are plenty familiar with all the glamour that comes out of a 10-minute runway show, but activist Elizabeth Peyton-Jones, founder of the Responsible Trust for Models, hopes to take a pause during this year’s festivities to shed light on her fight for models’ fair pay and good working conditions. “It’s an industry that we’re all seduced by for good as well as the bad,” says Peyton-Jones. “The disposable attitude and fast-moving world has meant that models are also as disposable as the clothes.” Expect an engaging conversation between Peyton-Jones, Fashion Talks podcast host Donna Bishop and mega model Stacey McKenzie, who will discuss the ways fashion insiders and consumers can protect these young models from vulnerabilities, including their demand for regulated certification placed upon modelling agencies. The Out-of-Towner Pop-Up: Bonjour Toronto! Three Montreal-based, women-led lifestyle brands will land in Toronto for a 10-day pop-up shop in hopes of uncovering the thoughtful fashion coming out of the province. Beginning Sept. 6, shoppers can check out chic footwear brand Maguire, a sister-founded company committed to a transparent production process; June Swimwear, a surf-inspired bikini line that’s keen on perfecting a comfortable suit; and The Natural Curator, a green beauty e-comm dedicated to sourcing the world’s most efficacious (and clean) products. “For startups like ours, the pop-up model is a great way to test the Toronto market and also this particular neighbourhood,” says Karine Lachapelle, the co-founder of The Natural Curator. One way to bolster our brilliant fashion talent in an increasingly competitive market? Give them a national retail platform that’s respected from coast to coast. Hudson’s Bay and The Collections, a Toronto-based designer management firm, aim to do just that, celebrating designers by “increasing consumer reach” with a new collaboration landing in stores just in time for the TIFF crowds. The retailer’s fourth iteration of its “Discover This” pop-up series is dedicated to highlighting 12 of our most promising designers, including a strong mix of established and promising brands like Sid Neigum, Mikhael Kale, Markoo, S.P. Badu, Wil Studios and Biko. 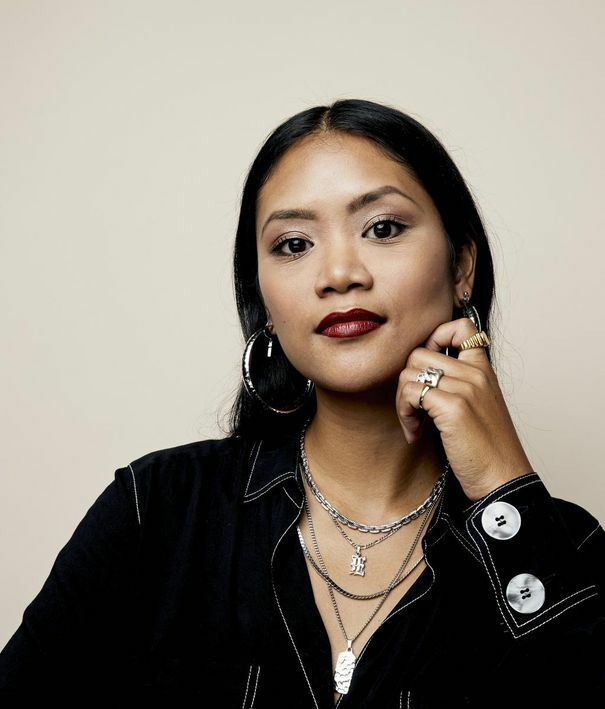 It’s all in an effort to flex their “responsibility to support the incredible design talent within our country,” something participating designer Edilou Canedo of “edgy, standout” jewelry brand Cuchara says she’s grateful for in the postdevelopmental years of her brand. “Exposure such as this, with the reach and influence Hudson’s Bay has, showcases fashion brands to the Canadian consumer that should be coveted on our home soil,” she says.